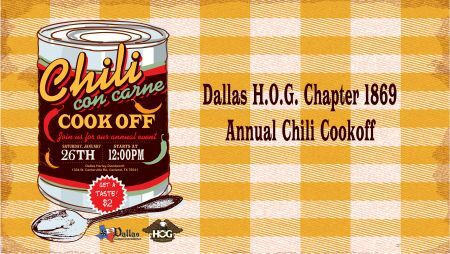 Every year Dallas HOG"s best chili cooks line up for their chance at the top prize! Come see them compete, enjoy some local entertainment, raffle prizes and food! Chili and bean competitions are open to current Dallas HOG members only.